Often called "the workhorse", the HW80 from Weihrauch is widely regarded as being one of the best spring air rifles available featuring a design that many have copied, but none have bettered. The break barrel design is well balanced and accurate and the shot to shot consistency of the HW80 is excellent. 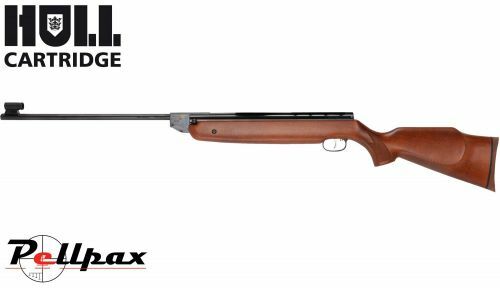 The HW80 is full power and makes a great hunting air rifle although its accuracy and consistency also makes it fantastic for targets as well. The HW80 is equipped with adjustable open sights although a scope can be fitted to the top dovetail rail as required. The best feature of the HW80 is its Rekord trigger which is crisp and predictable and allows for precision over shot placement giving you the confidence to always hit your mark.